At nights, prisoners leave the prison to commit perfect crimes. 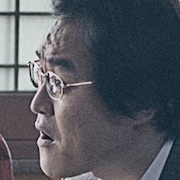 Ik-Ho (Han Suk-Kyu) is an inmate who wields king like power in the prison. 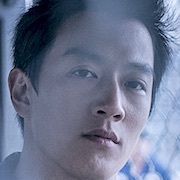 Yoo-Gun (Kim Rae-Won) is a new inmate charged with hit-and-run, destruction of evidence and bribery. He is an ex-detective with a 100% arrest record. Ik-Ho pays attention to Yoo-Gun who has a strong will and hot temper. Filming began February 14 and finished May 22, 2016. Pammo Dec 26 2018 1:03 pm Very intense movie and good throughout all stages of storytelling. Topnotch actors that are readily identifiable. The ending is truly challenging - I had to question yourself whether the ending could have been different. The adrenaline at the end was extreme and really made the movie outstanding. Glad to have found it on Netflix post-Christmas. Minsaa Jun 06 2018 6:57 pm Woahh ! This movie are so intense and thrilling. I love their storyline. The impact of this movie , i got goosebumps and felt scared after the movie ended ?. The first movie that got me felt like that. I feel like someone want to kill me ?. It's just i don't like the fights scene , it's so much horrors to me ?. Well i enjoyed so much ! #pardonformybadenglish. My opiniom Jun 02 2018 5:14 am What an annoying movie.. But, 4 thumbs to the actors, Kim Raewon save this movie..
misederama Apr 22 2018 12:07 am wowwwww !!! this story is a perfection !! if you are not a big fan of crime themed story , this one will be an exception !! this story is perfectly executed , great acting and bombastic storyline !! of course daebak to Kim rae won and Han suk kyu as well as the other actor !! rated 10/10 !! highly recommended!! whynot Nov 21 2017 11:11 am this is a very good movie.excellent acting. lili Aug 09 2017 7:50 am why this movie is so underrated, i just knew about this movie when watch it online. never heard of this movie, so lack of promotion. seriously enjoyed it, the actors all talented. san Aug 04 2017 10:19 am I just finished watching this movie and it was so good.. I don't know why its underrated but its really worth watching. Lost May 15 2017 10:26 am why do i feels like this movie similiar to violent prosecutor of kang dong won? is it y/n? Rae Won Oppa Fan Mar 23 2017 9:26 am Kim Rae Won oppa & The Prison Team Both Be a great Success. chocolate Mar 21 2017 3:13 am @zzzzz no..this movie used the real prison..they waited until got permission to shot there..
quereiz Mar 01 2017 7:21 pm can u please have it here in the Phils. just like the movie train to busan. i'm dying to watch it! onianiaa Sep 26 2016 8:44 am Please hit big this time Kim Rae Won! As big as Gong Yoo's Train to busan!